This Quick Meal has a mellow, comforting flavor. A classic Thai flavor combination, Coconut and Ginger, make this a favorite. Make real Pad Thai in no time! The rice noodles and Pad Thai sauce are all right here. Just cook in the microwave and serve. This is our most popular Quick Meal. 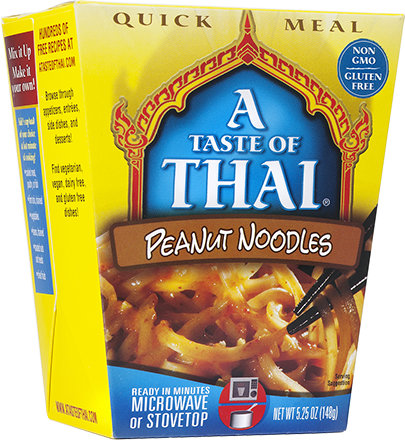 Authentic Thai Peanut Noodles have never been so easy before- ready in the microwave in just 4 minutes! 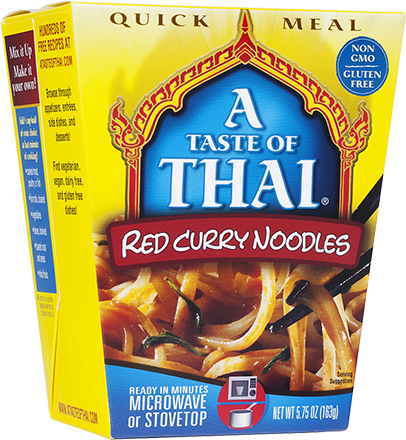 The Thai chilies that spice up our Red Curry Paste give these Red Curry Noodles the same kick. Add water, heat, and go! 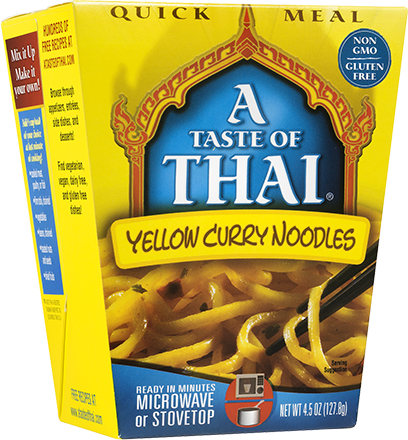 Yellow Curry Noodles bring the aromatic scents of our Yellow Curry Rice and makes a delicious, flavorful Quick Meal, ready in minutes.